Are you a fan of Poets of the Fall / Old Gods of Asgard? We are teaming up with Mr Scratch's Facebook page for a new competition! 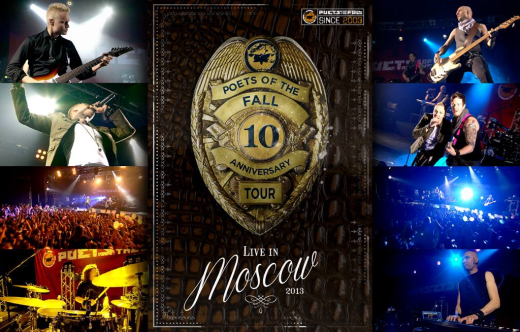 Scratch will be giving one (1) lucky winner a copy of Poet's "Live in Moscow" DVD. For those fans who don't know, Poets and Remedy share a close history, with individuals contributing to the original Max Payne. The band's first song, Late Goodbye, was composed for Max Payne2. In Alan Wake they returned, this time as the in-game band, the Old Gods of Asgard. Through this name, Poets created the songs Children of the Elder God, The Poet and the Muse, and Balance Slays the Demon (the latter appearing in American Nightmare). The band also had a couple of their songs from previous albums appear in the games such as War and The Happy Song. The DVD contains the entire Moscow gig (around 90 minutes), plus behind the scenes photos, a documentary (30 minutes), and an interview lasting an hour. It's a really great DVD! To enter, suggest how Scratch might be celebrating Christmas this year. You could write your entry, draw fanart, write fanfiction, anything you want!